Good Saturday morning from the Kimbells' horse farm outside Indianapolis, where I'm visiting for tomorrow's Indy 500. Welcome to this holiday weekend Axios AM deep dive: China trends. At Axios, we help you see beyond petty politics and daily churn to understand the huge trends reshaping our lives — in tech, media, business and global affairs. China’s power grab is the most consequential. If you find today's special interesting, click here to sign up free for Bill Bishop's popular weekly newsletter, Axios China. China, with a series of short- and long-term moves on the global stage, is doing something few others can: eliciting similar warnings and worries from Democratic Rep. Tim Ryan, Republican Sen. Marco Rubio and nationalist Steve Bannon. All three weighed in after Jim VandeHei and I posted our piece Monday calling China the single greatest threat to the U.S.
Jamestown to their Great Britain. ... Trump must keep the hammer down." Be smart: While America dawdles and bickers, China is thinking long-term — and acting now, everywhere. Worthy of your time. Quick take: For centuries, rising great powers sought to thrive and exert influence by establishing a new global framework for trade. Now, Beijing wants to control the greatest businesses, and is building the biggest infrastructure project since at least the Marshall Plan — the Belt and Road Initiative. Why it matters: When it's done, this system of ports, railroads and pipelines — traversing some 65 countries — will be the new face of Chinese foreign policy. Led by Europe, Japan and India, many of the world's leading economies are balking, viewing the plan as a Trojan horse for Chinese geopolitical, military and economic designs. The U.S. is complaining about the details of Made in China 2025, Beijing's companion plan to dominate the economy of the future. Go deeper with the story by Axios future editor Steve LeVine. Two decades ago, China's gross exports were on par with the Netherlands. Only North Korea relied on the world's most populous country as its primary source of imports. Now, China exports far more than any country on earth, and is the top supplier of countries in every corner of the world. Why it matters: Relative global power is a zero-sum game. Even though the U.S. is growing alongside China, the younger power's newfound influence will impact the U.S. role on the international stage. Go deeper with the full story by Axios' Erica Pandey, who specializes in China. This isn't Beijing or Shanghai. This is all new. This aerial photo, taken Wednesday, shows Hengqin International Financial Center, being built on an offshore financial island in south China's Guangdong Province. China has stayed out of regional conflicts in the Middle East for decades. But with its massive international infrastructure plan, Beijing is finally ramping up involvement — and it's determined to win influence. Between the lines: If it's successful, a big reason will be that China hasn't taken sides or made enemies in the Middle East. The big picture: Middle Eastern countries are interested in seeing what China's up to. But they're all hedging, says Barbara Slavin, who leads the Atlantic Council's Future of Iran Initiative. Still, they can be much surer about President Xi Jinping's longevity than they can about President Trump's. Go deeper: Erica has more on China's strategies. The Monroe Doctrine is running up against the Xi Reality in Latin America. China has now surpassed the U.S. as the leading trading partner of several South American countries, including Brazil, and dramatically stepped up investments in the region at a time when U.S. engagement is on the wane. Investments: While China is growing its economic presence in the region, other countries are investing less. Trade: Two decades ago, the U.S. was the primary source of imported goods in virtually all of Latin America. That's changing, fast. Go deeper with Erica's story on Chinese cash flows into Latin America. China's AI plan is part of the Chinese government's blueprint for becoming a superpower and achieving "the great rejuvenation of the Chinese nation," while maintaining Communist Party control. Kai-Fu Lee, founder of Sinovation Ventures and a world-renowned AI researcher, and Paul Triolo, head of Eurasia Group's Geo-technology practice, argue that China and the U.S. are already in a global AI duopoly. Go deeper with Bill Bishop's full story. In January, Amazon attracted intense attention when it opened Go, its cashless convenience store in Seattle. But that still leaves the e-commerce giant far behind its Chinese rivals, which are already staking out new ground in retail. Why it matters: The future of retail in the world's leading economies is increasingly expected to be not online shopping, but a melding of e-commerce and physical stores. Chinese Big Tech appears to be in the vanguard of how to pull this off. Chinese internet giants led by Alibaba are becoming online-offline behemoths, investing in or acquiring some 30 physical retailers in the nation since the fall. "It would be like Amazon buying a stake in every major offline retailer in the U.S.," Sanford Bernstein's Bhavtosh Vajpayee tells Axios. Go deeper: Steve has the full story. 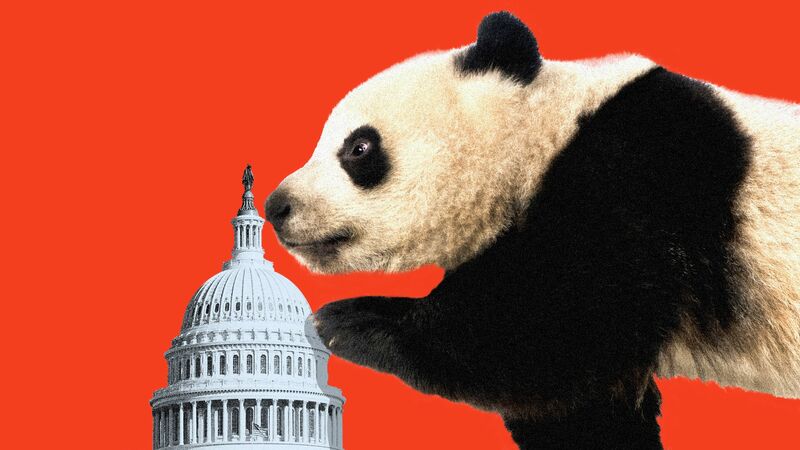 Washington is waking up to the reality that the cost of doing business in China's massive market is risking precious tech secrets. But it may be too late. The big picture: Rogue practices like intellectual property theft are built into Beijing's industrial policy, and China has used these policies to innovate so rapidly that it may soon be able to cut its reliance on the West. China sets up barriers to entry, like giving its state-run companies exclusive access to capital and forcing foreign companies to transfer their technology to local partners. The bottom line: Companies grudgingly yield to these demands, hoping China will eventually reform unfair practices. Go deeper: Erica's full story. On Yaji Mountain in southern China, 1,000 sows per floor crowd into high-rise “hog hotels,” Reuters reports. A 13-floor breeding operation will be the world’s tallest building of its kind. Thanks for reading this Axios holiday special. Let me know what you think: Just reply to this email, or shoot me a note at mike@axios.com. I value your time and mind, and personally answer every email.